This particular Saturday in Wimbledon started off with a chill. 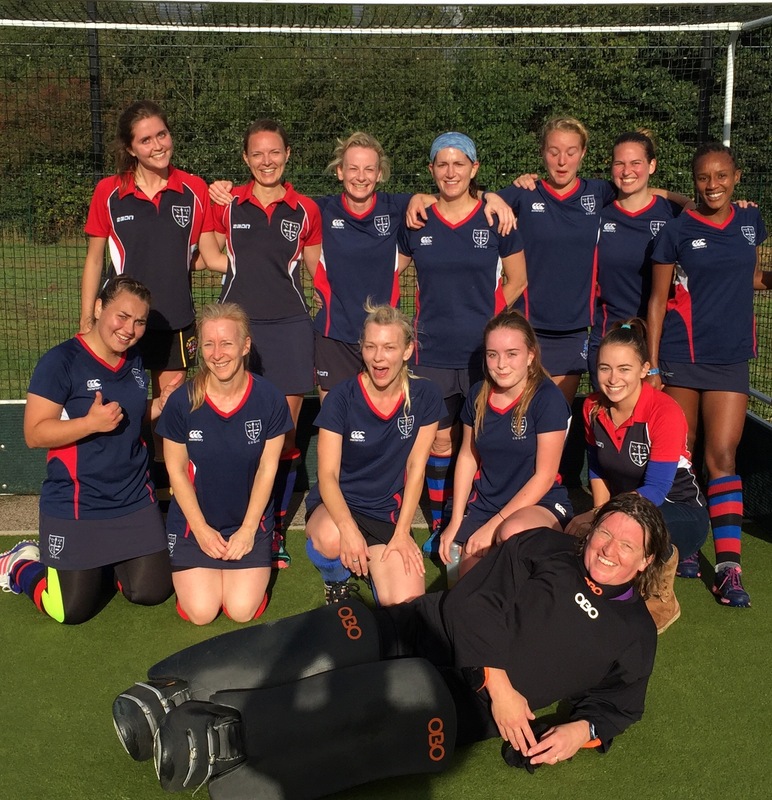 The COWHC ladies trickled in slightly apprehensive about the conditions, especially the newly laid Astro surface which was notably more bouncy than our home turf. The coldness of Wimbledon quickly gave way to the smooth finesse of the Croydon ladies putting on a display that was worth video replays (head on over to IG for a peek). The possession was heavily in favour of Croydon as Wimbledon struggled to string more than three passes on end. This eventually gave way to a few penalty corners in favour of the away side. After a botched attempt, the ladies managed to land the ball onto the Wimbledon backboard. After a momentary deliberation between the umpires, it was agreed that the goal was to be the first of the match (and also the first goal that newcomer Naila was to score for the club). So fairly early on COWHC was 0:1 up and deservedly so. Just before the half, after some effortless passes and a touch of class from Tanishka, Croydon took a stronghold on the game with a 0:2 lead. The second half began with the COWHC “2nd half hockey” in full swing and Wimbledon was left reeling by the impressive stickwork of Vice Captain Emer and her seemingly impenetrable back line. Lena took a few more advances towards the attacking “D” as is quickly becoming her style. This game may have resulted in her debut as a striker in next week’s fixture (we’ll surely stay tuned to find out). COWHC stayed true to its second half mantra as Wimbledon barely managed to squeeze one goal past the solid backline and the agile (but quite frankly bored) Lisa in goal. Sparks of brilliance from this week’s POM, Rachel, coupled with sleek passes in the midfield led by Croydon’s Captain Nicky, resulted in a flurry of second half goals by Lizzy, Hannah and Tanishka (yes, a well deserved brace). All in all it was a comprehensive display of quality by the ladies and a well-deserved victory for the club.